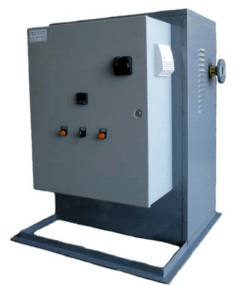 A gas boost system is any system used to increase the pressure on gas, air, or a gas-air mixture so as to better move it through a line and deliver adequate power levels to various types of industrial equipment. 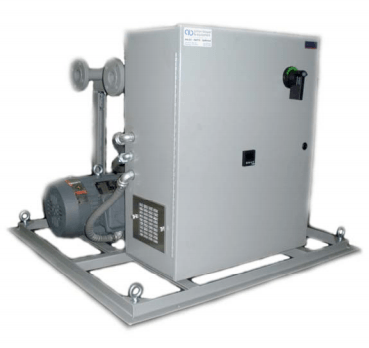 At ATI, we carry everything from stand-alone blowers to full automated systems, and we also offer fans, liquid ring vacuum pumps, rotary vane and rotary claw compressors, and all the variations and accessories you may need to outfit your ideal gas boost system. Positive Displacement Blowers: Also called PD blowers, these devices use two rotors to displace air trapped on one side of the blower casing to the other to create extra pressure. The pressurized air is forced out against the discharge line, thus overcoming line pressure and boosting system pressure. 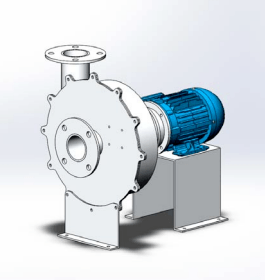 Regenerative Blowers: With regenerative blowers, an impeller with multiple radial blades rotates, trapping air behind each individual blade and then pushing it outward to create pressure. This type of blower is also nearly maintenance and wear free, not even requiring oiling, and extremely cost-effective. Centrifugal Blowers: These blowers, often called "squirrel cages," use their impellers to boost the speed of the air moving through them. Centrifugal blowers are very commonly used in the HVAC industry because they are durable, quiet, and relatively inexpensive. We have selected Action Blower & Equipment (ABE) because this manufacturer provides solid pre-made blowers and blower packages and allows you to custom design your own product as needed. This is a hermetically sealed blower that can deliver non-corrosive gases of any volume, at differing speeds, and for numerous applications. This package is built around the GT1400 and includes everything needed for a complete gas boost system. 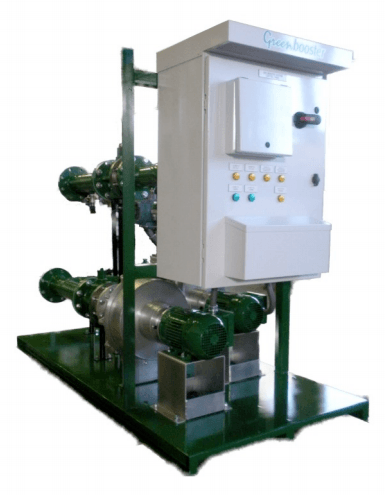 Like the Greenbooster, this is a complete solution, but it is built around a positive displacement blower with a high-efficiency electric motor. This is the equivalent of PDGB but with a regenerative gas blower instead. At ATI, we are familiar with the many applications for which our clients use gas boost systems, including for generators, boilers, burners, and ventilation systems, and we can help you select the product that will best serve your needs. We also provide our clients technical support for all products we sell. Fill out the form below to request a free consultation with the boiler & burner experts at Applied Technologies. Please Note: Due to territory restrictions, we are available to serve customers in the tri-state region.